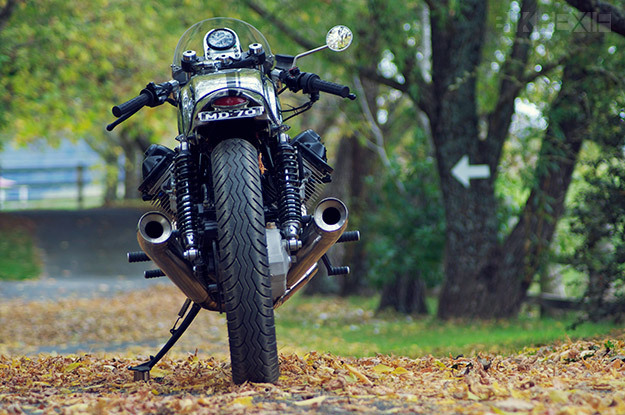 Matt at Machine is one of Australia’s top custom motorcycle builders. So when a new bike rolls out of his workshop in the Southern Tablelands of New South Wales, it’s an event. For his latest bike, Matt wanted a “reliable, fast Italian cafe racer suitable for long, mid- to high-speed freeway runs”. 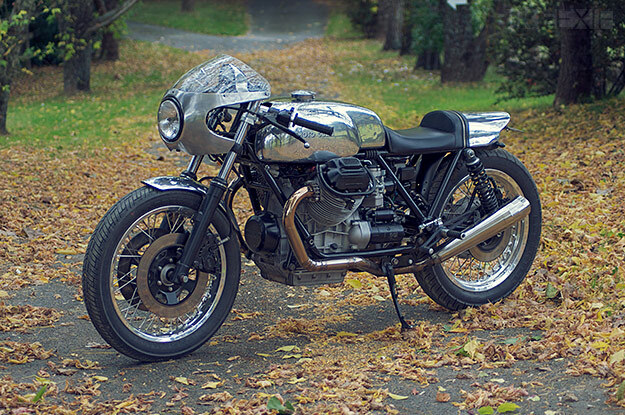 So what better platform to start with than the original Moto Guzzi 850 Le Mans? 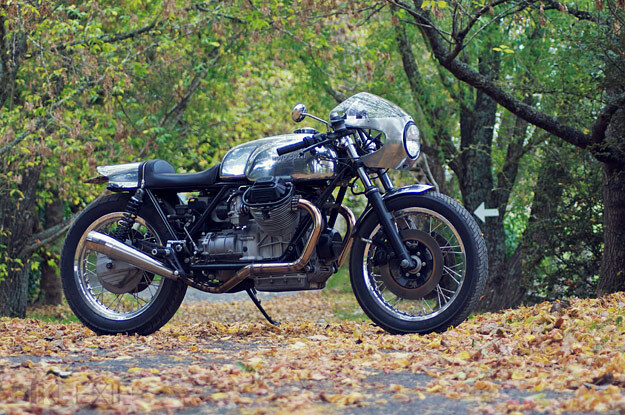 It’s one of the most iconic motorcycles from the 70s: fast, stylish and oozing with character. The Le Mans used the engine from the 850T, but with high compression pistons and performance-oriented 36mm Dell’Orto ‘pumper’ carbs. “I bought this Le Mans two years ago,” says Matt. 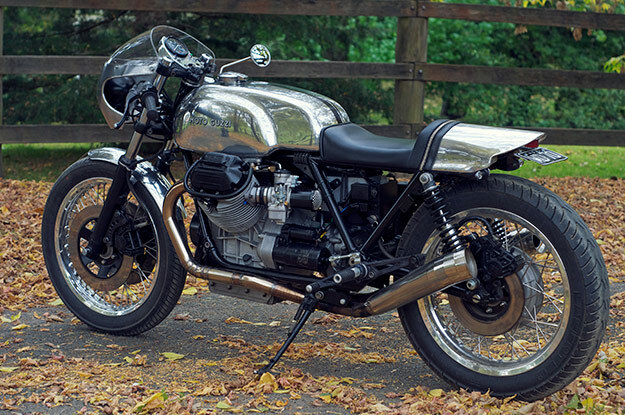 “It’d spent some time as a race bike, and was returned to road-going condition in the early 90s.” The Guzzi’s engine was already extensively modified, with a kit that increased capacity from 850 to 950cc, Carrillo rods, a hotter cam and 40mm carburetors. Matt was also pleased to find some very nice headwork to complement the larger-than-stock exhaust. 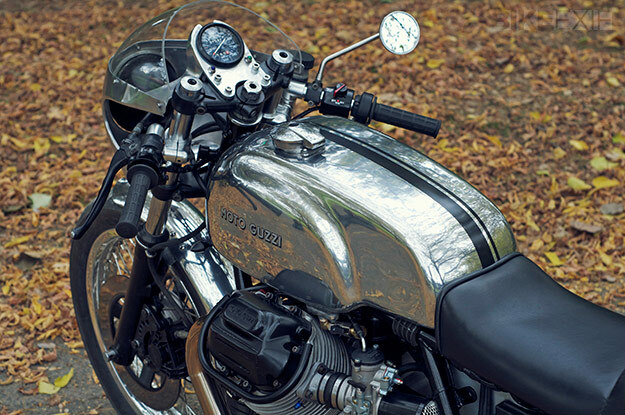 To extract every last ounce of performance and reliability, Matt had the top end, the gearbox and the clutch tweaked by local legend Peter Roper—one of the world’s foremost Moto Guzzi experts, who fortuitously lives a brisk half-hour ride away from Matt. The bodywork is alloy, and it was fashioned by hand by Matt himself. 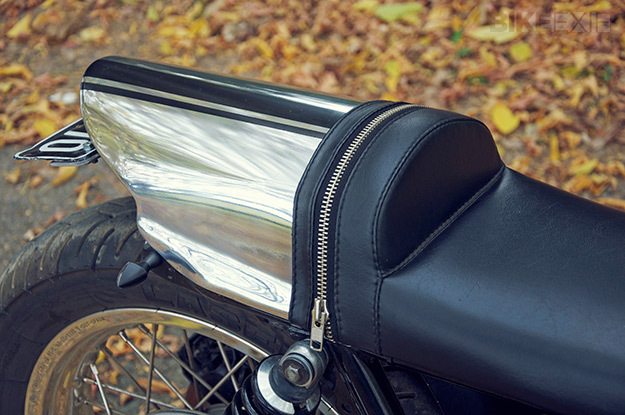 There’s a new front guard, fairing, dashboard, rear guard and tail section, and a cut-and-modified tank. It all hangs together beautifully, with just a simple paint stripe accentuating the bare metal shapes. To hear what this glorious machine from Machine sounds like, check out this video on the Machine YouTube page. The next issue of Italian Motor Magazine will have the full story on the build, and more images. To make sure you don’t miss it, subscribe here. Photography by Matt Machine and Kelly Sturgiss.